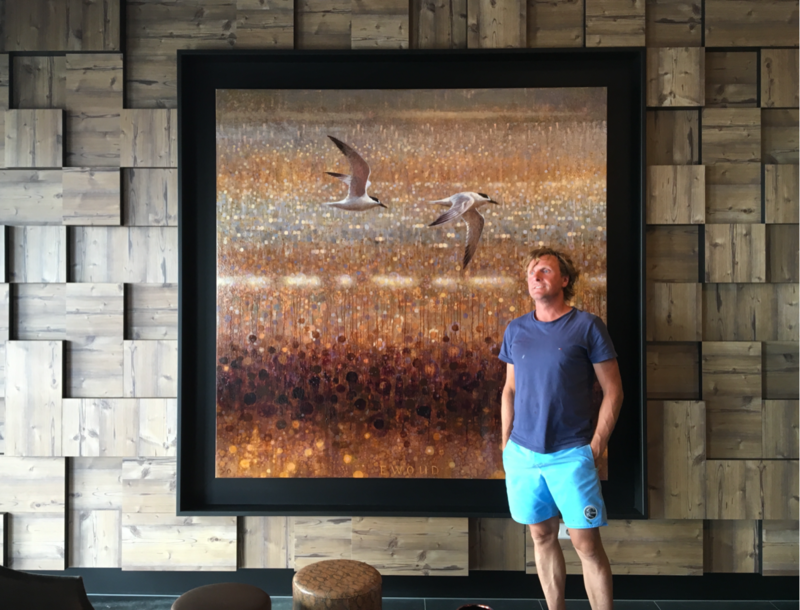 Ewoud de Groot is a Dutch wildlife painter living in Egmond aan Zee, Holland. Ewoud de Groot lives and works in Egmond aan Zee, a coastal village in the Northern Netherlands. After receiving a degree in illustration and painting from the Minerva Academy of Art, he began illustrating nature books for a period before pursuing painting full-time in 1999. Today, de Groot is recognized as a rising star in wildlife painting, bringing a truly unique perspective to the genre. His work strives to find both a balance and tension between the representational and the abstract, the traditional and the contemporary. 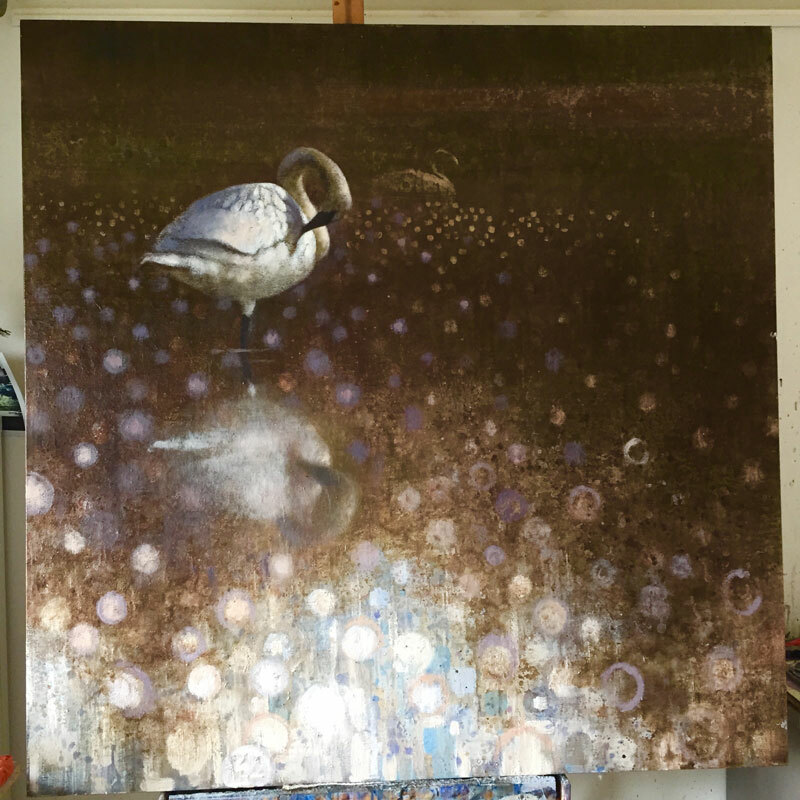 For de Groot, painting wildlife is not an exercise in rendering all the painstaking details. Instead, his work is an ongoing experiment of composition, color, and technique, concerned with conveying a sense of mood and atmosphere found in the natural world. I first saw Ewoud de Groot’s work at the 2005 Birds in Art exhibition at the Leigh Yawkey Woodson Art Museum, Wisconsin. It was an oil painting of a group of Oystercatchers and it captivated me, so much so that I bought it. Since then we have regularly exhibited together in USA and UK, and I have watched his work develop with interest. So much Wildlife Art relies on the viewer’s affinity with the subject for its appeal, Ewoud’s work is different, and his use of light, medium, interpretation and texture are unique, bringing a new perspective and freshness to the genre. These are true works of art that transcend the boundaries between wildlife and contemporary art. Recently Ewoud sent me an image of a new painting telling me it was the ‘first stage of my ‘Laplanduil’. It was a painting of a Great Grey Owl flying straight towards the viewer, the head and body had a little detail, and the wings were roughed out and covered in splatters, all on a blank canvas. My immediate reaction was to email him back and say ’leave it like that’. After a little persuasion he did and that painting now hangs in our house along with a growing collection of Ewoud’s work. Since then Ewoud has created more paintings in this pared down style, many of which are in this exhibition. They have a vitality and immediacy that brings the subject to life; these are paintings that one will never tire of viewing because they always have some new element to explore. They reward to viewer for time spent in their presence. 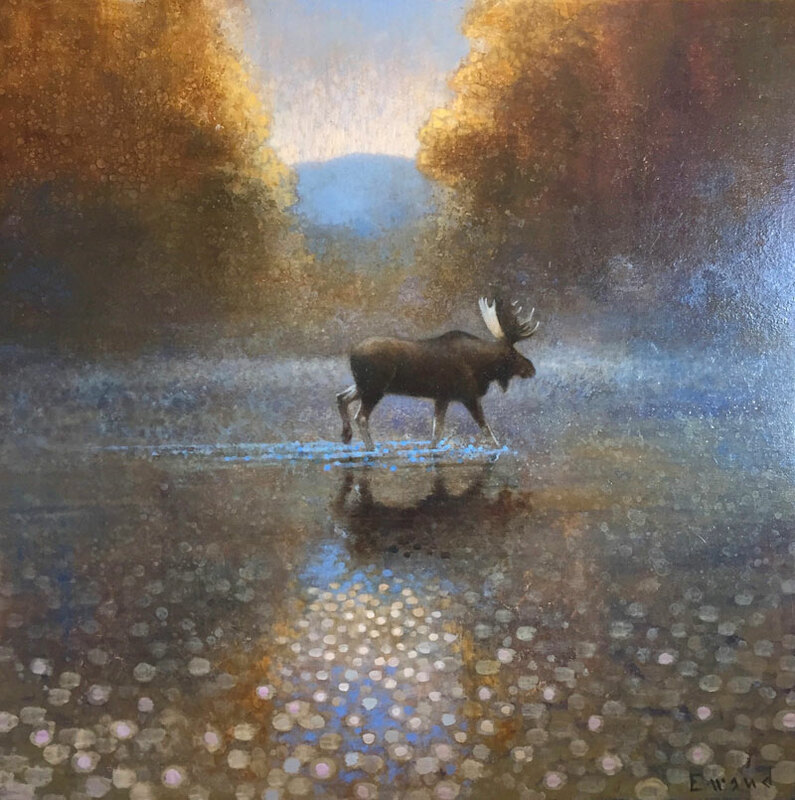 Ewoud de Groot has been named 2014 “Featured Artist” for the 27th Annual Western Visions show gathering on August 30th to September 21st, 2014. Western Visions is a signature event held through the National Museum of Wildlife Art in Jackson Hole, Wyoming. “Ewoud lives and works in Egmond aan Zee, a coastal village in the north of the Netherlands. Born in 1969 in Alkmarr, he attended the Minerva Academy of Art and received a degree in illustration and painting. After illustrating nature books for a couple of years, he began painting full time. His work has been featured in many exhibitions in the Netherlands, the United Kingdom, and the United States. His subjects are often seabirds and waders. He spends time on his Dutch shrimp cutter exploring the Waddensea, an internationally known wetland that is actually a chain of islands, mudflats, and sandbanks, starting in the Netherlands and ending in the south of Denmark.” (Western Visions announcement). Once leaving the art academy in Groningen, Ewoud worked briefly as a graphics designer for nature books and magazines. 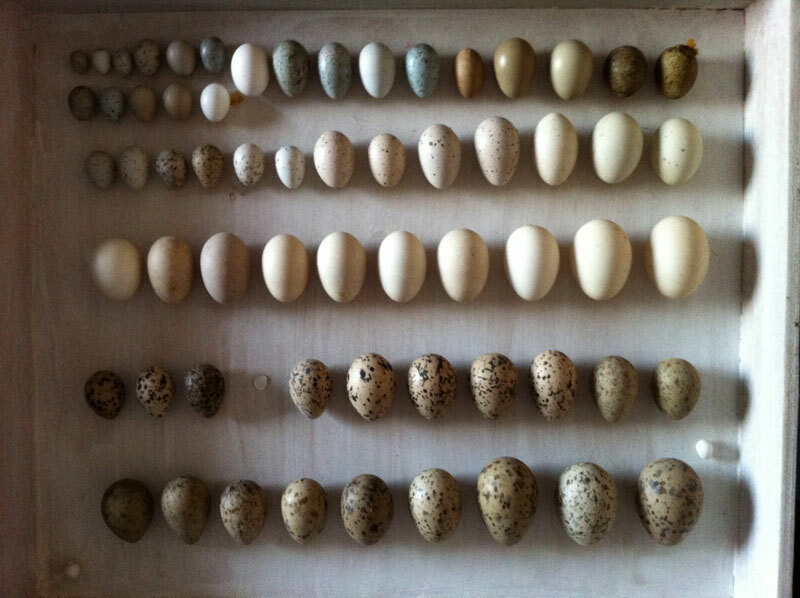 He also worked for the Netherlands Society for the Protection of Birds. 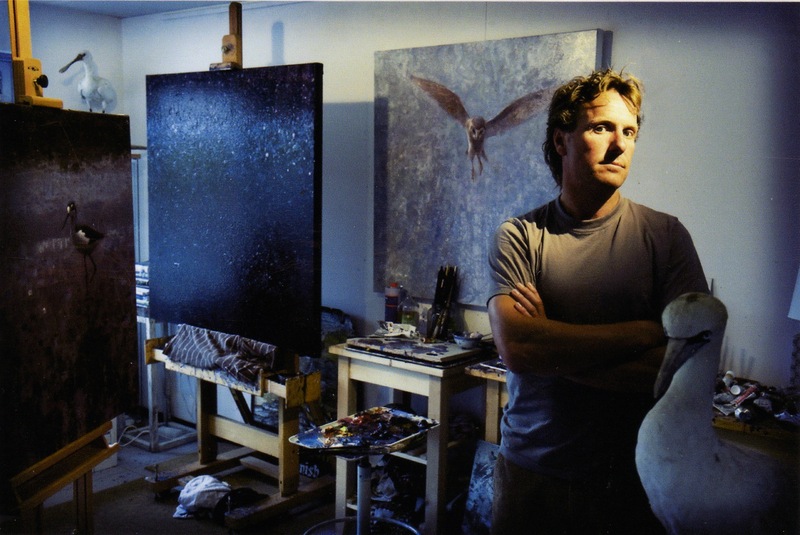 As Ewoud continued to work, he began to experiment with a more relaxed and free style of painting influenced by abstract technique in combination with a figurative subject, most often birds. He got away from illustrating and began painting in a more ‘autonomic’ or free style. Ewoud’s style is unique. 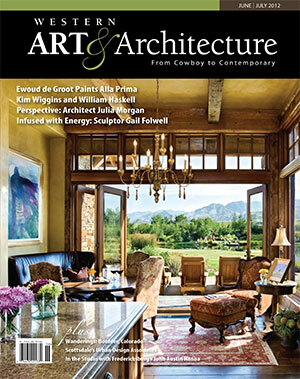 I personally met Ewoud a few years ago at a local art exhibit while he was “artist in residence” here in South Texas. I got to see firsthand how he combines an abstract background with a more classical subject. This technique enhances and compliments the primary subject in many of his paintings. He often will place his paintings on the ground and use an oil based ‘splatter’ technique to enhance an abstract quality to the paintings. I recently spoke with Ewoud discussing his latest projects. Ewoud, I had a chance to meet you and ride bikes when you came to do an art exhibition in Rockport, Texas a few years ago. Firstly, how is your bike riding going and how is life in Egmond ann Zee? Well to be honest I’m in great shape…beating all the young guys here at our club. I do train 4 times a week though and I found out that it takes one more training exercise a week to get yourself in real good shape…Because I’m an artist always working in my studio, I need this physical workout to balance myself. Your technique is fascinating and unique. At what age did you first take an interest in painting? Where did your formally study? What are some of the latest works you have been creating? You frequently travel to art exhibitions. When is your next exhibition and will you be traveling to the United States again? Next week, I’ll be flying off to Jackson Hole Wyoming (see my first remark). I often see videos of your dog on the beach in Egmond. Do you find artistic inspiration in your walks along the beach? It’s always a good start of the day. I like to go for a walk with my dog straight out of bed and slowly wake up…and to be honest, I prefer not to engage anybody, that’s why I prefer to go out there when most of the people are still asleep. What piece of advice can you give to our young painters wanting to make a living as a painter? First of all, its not easy. You got to have talent of course, ideas and stamina…and yes of course also some luck. 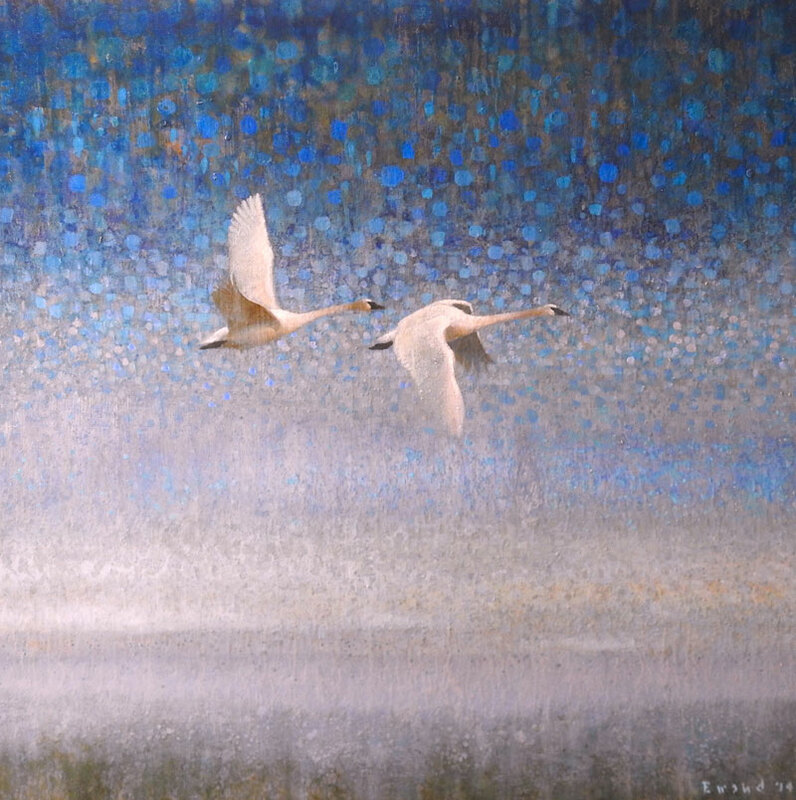 Ewoud De Groot is a 21st century Dutch nature painter noted internationally for his portrayals of wildlife, especially birds.